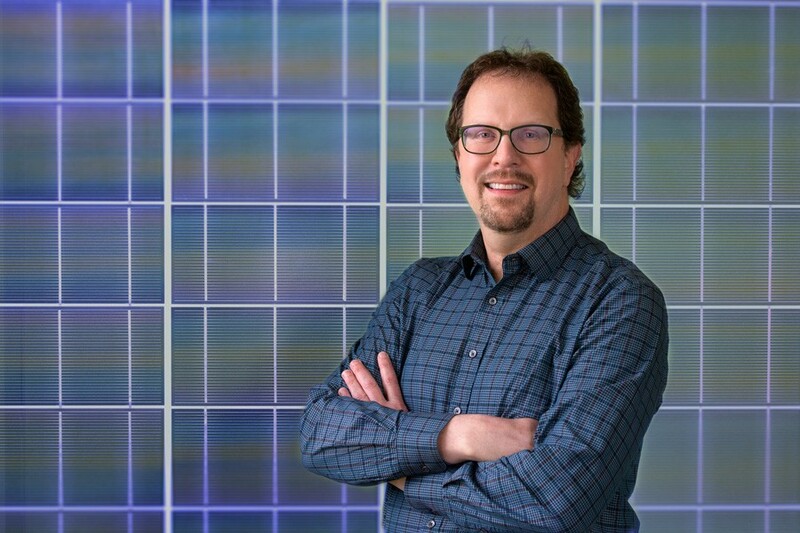 William N. Shafarman, a University of Delaware scientist with more than 30 years of experience developing solar energy technologies and research partnerships, has been appointed director of UD’s Institute of Energy Conversion. Founded in 1972, IEC is believed to be the oldest continuously operating solar research institute in the world. As a physics major at UD, Shafarman interned one summer at UD’s Institute of Energy Conversion. He pored over his work in the lab, learning how to design and test solar cells. The experience made a lasting impression. “It was a unique opportunity to do research in a field that was very exciting and fulfilling then, and still is today,” Shafarman said. He went on to earn a doctorate in physics from the University of Rochester in 1986, and came back to UD later that year to begin his career at the institute where he first interned. Over the years, in addition to leading projects as the principal investigator on government and industry contracts, he has organized numerous international conferences and symposia on photovoltaic science and engineering, taught tutorials on solar cells for conferences and companies, and served as team leader for the National Renewable Energy Laboratory’s Thin-Film Partnership Program. As an associate professor of materials science and engineering, Shafarman’s been the research adviser to numerous doctoral students. He is also the author of more than 190 technical publications, five book chapters and two patents. Prior to his appointment as IEC’s director, which was effective April 1, Shafarman served for 16 months as interim director when Robert Birkmire stepped down after a distinguished 20-year tenure as the institute’s leader. Shafarman said he sees a bright future for the institute, and it’s not all based on solar cell research. What kinds of devices might those be? From infrared cameras used by the military, to the facial detection system in your iPhone, Shafarman said. He also sees potential for exploring new materials to make detectors and to power electronics, and in diversifying how solar energy gets integrated into the power grid. Lots of new ideas are on the table, he said, as the IEC team interacts with research groups across UD’s seven colleges and through the Delaware Energy Institute, with which IEC is affiliated on campus. Shafarman attributes the institute’s past success to the staff’s ability to bring people together from multiple disciplines and to integrate an extensive array of technologies and science. It’s an approach that’s worked and that he hopes to expand, Shafarman said. He also places a premium on the institute’s role in the education and training of renewable energy researchers. Currently, the IEC team is collaborating with a range of companies, from small startups to large U.S. and international corporations. The team also has joint projects underway with the U.S. Department of Energy’s National Renewable Energy Laboratory and the Lawrence Berkeley National Laboratory, and with the University of Virginia, Arizona State University, Iowa State University and Drexel University.